Vermont Marble And Granite Co. Introducing The Pizza Pro Wood Fired Bake Oven! This beautiful wood fired oven is not only for Pizza’s! Because what better way to entertain guests, than to prepare mouth watering pizzas, tender roasts or crusty fired bread in the Pizza Pro! It features a large oven with a firebrick base, allowing some of the smoke from the fire to enter the oven, giving a taste to food only wood can provide. The firebox is large enough to warm your outdoor area and provide an ambiance only a wood fire can give to those cool evenings. Constructed of stainless and mild steel and will burnish over time, which adds to the character of the oven. Installed on a bench top or with the optional galvanized stand, the Pizza Pro is a great addition to your outdoor entertaining area! Clearance to combustible material is 44″. 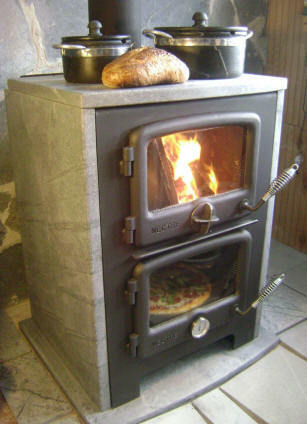 We carry Vermont's finest selection of free standing soapstone woodstoves & ovens. The Vermont Bun Baker is one of our famous Soapstone Woodstoves that comes three sizes; The Original, The 750 and The 1500. APPROVED FOR 10% OR $300 TAX CREDIT! 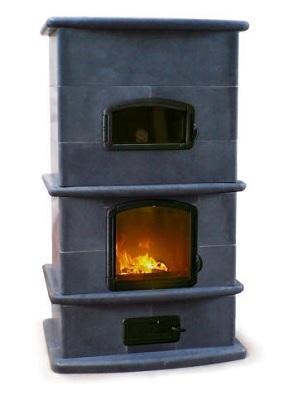 Our “Soapstone Masonry Heaters” are designed in Germany by a seasoned team of experts using the finest equipment, technology, and experience to develop the most efficient internal air flow designs and maximum soapstone thermal heat absorption capabilities possible. Save on your heating costs this Winter season with our elite grade 100% Soapstone Masonry Heaters! These beautiful wood stove accessories are designed in three sizes to fit virtually all types of wood stoves. They work great at retaining and radiating the heat directly off the top of your wood stove! You can cook on them too! 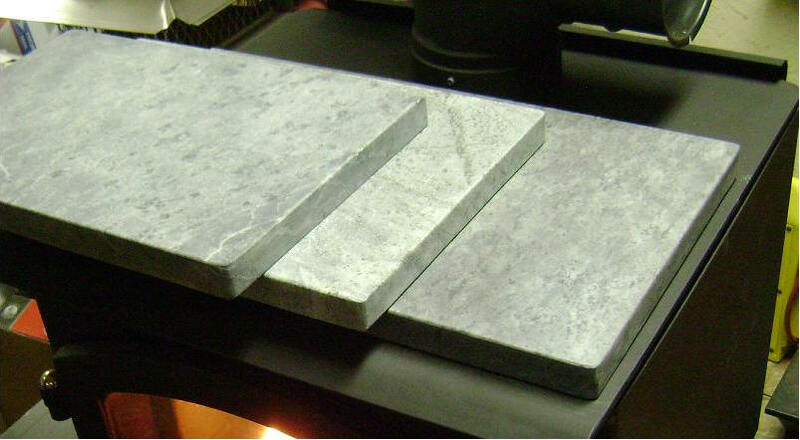 Our Soapstone makes for an efficient and healthier heating & cooking alternative. Check Out The NEW Mini-Max Soapstone Grill Line! 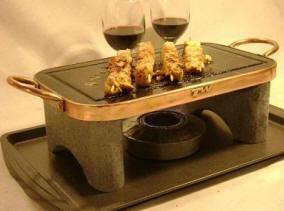 Wow your dinner guests with the presentation possibilities made possible with our Soapstone Mini-Max Grills! Prepare your food in the healthiest way possible using our Soapstone Cookware products! For electric & natural gas grills & barbecues! A true green product that saves heat & energy! See what Mark Twain had to say about Soapstone Masonry Heaters. © 2014 ~ Vermont Marble, Granite, Slate & Soapstone Co. All Rights Reserved.